Crossed half treble (US: half double) crochet stitch crossed falls in to the category of simple but annoyingly fiddly, though part of that might have been that the yarn I’m using splits easily, which makes it harder to get the hook through the right part of the stitch. 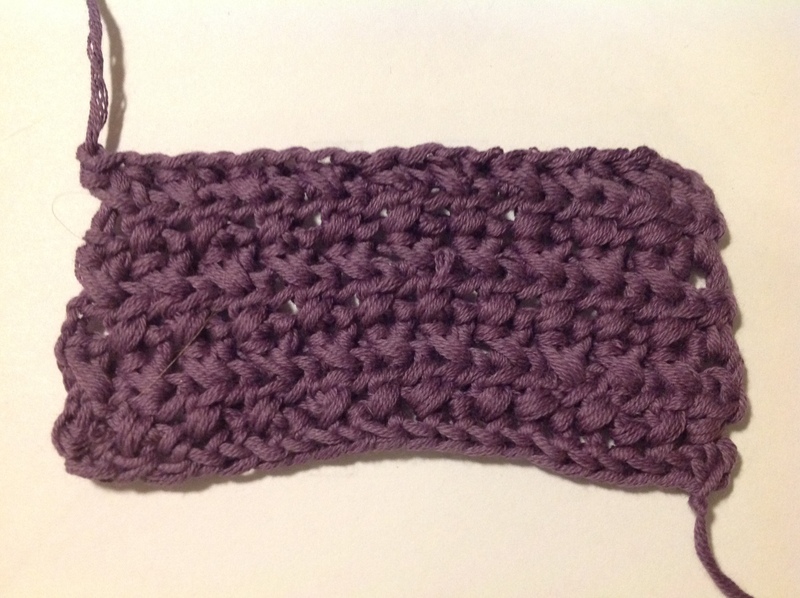 The first row was especially irritating, but I got better as I progressed and certainly think higher quality yarn would have helped. It looks nice though, so this would be a good stitch for a scarf or blanket.